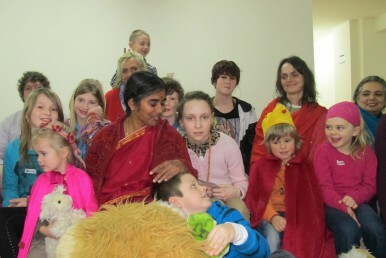 Mother Meera is holding special programs for children every Saturday and Sunday, when She is in Germany at Schloss Schaumburg. For the times, check our Online-Calendar>. Children from an age where they can be without parents for an hour to 12 years are invited to attend. You can make a reservation for your child through our Online Booking System. Please make also a booking for yourself and your child – if it is capable to keep silent for about 20 minutes – at the following Darshan of the same day. The children’s meditation and the following Darshans are linked, as children and their parents will collectively participate there. If for any reason the following Darshan is already booked up, don’t hesitate to phone us, sometimes we can facilitate extra places. (+49 6436 91050, -51, +49 151 65456459) But first book the children’s meditation on your own. Check in is always half an hour earlier to the start time. Please provide necessary snacks yourself. Please bring slippers for the children. 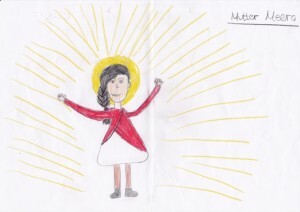 The children’s meditation is only for children, not for parents. If you cannot leave your children alone, they cannot participate. The program will include meditation, singing, yoga, writing stories, storytelling, art projects and much more! This is a precious and long awaited opportunity for your children to spend time with Mother. 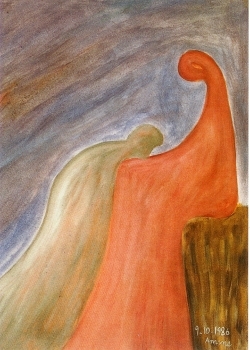 Mother Meera, as the Divine Mother has many aspects. In the past, only a few children have had the blessing of seeing the deeply loving, and very playful and joyful side of Mother around children. Spending time with Mother will bring your children growth, deep joy, security and a sense of the wonder. 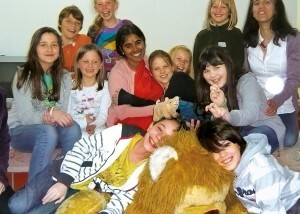 The children’s mediation is organized by the Mother Meera Foundation, Balduinstein. 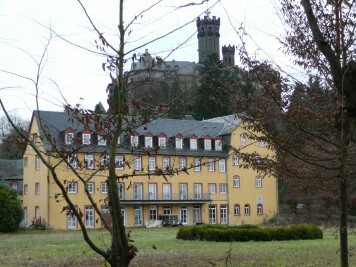 Whenever Mother is in Germany, She will give Darshan at Schloss Schaumburg. Only if Mother is not in Europe, Darshan is cancelled, but there will be a silent meditation at Schaumburg as a substitute, starting 7 pm for 1 hour every Friday through to Sunday. Everyone is invited to attend. Please view our Calendar >> to see when Mother is abroad. There has been a increasing awareness of the mental, physical and emotional benefits derived from the practice of meditation in recent years. There are many different forms of meditation, all with the aim to quieten the mind, to lead to a state of being centered and calm, and to ultimately lead to a state of being more connected with the inner soul, with the Divine within us. 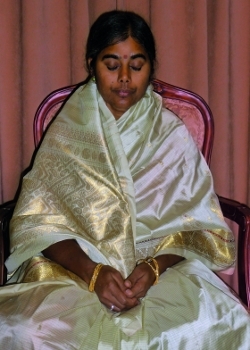 Mother Meera is not teaching any particular meditation technique, but she does recommend doing Japa, the practice of repeating a mantra, a holy phrase or sentence, or a simple word denoting our highest ideal, or God. Mother Meera has now inspired the formation of silent meditation groups in Her name. These groups will provide a “sacred space” in which people, can meditate more deeply together, and be inspired and guided by Mother’s light and energy. Everybody is welcome to participate in these groups. All the meditation groups are independent and are guided by an overall universal spirit rather than by any hard and fast rules. A silent meditation of about half an hour or longer will be the main focus for the group. Meditation can be followed or begun with Bhajans, spiritual songs, reading of spiritual texts, prayers etc. The whole meeting should reflect the wishes of the group. Meditation will be in silence, without any guidance as to mantra etc., and any type of silent meditation may be practiced. Find contact details of the groups on this page > >. As the groups work independent, it is best to contact the group if you are interested, and enquire about their programme. If you want to hold meditations yourself, see details here >. 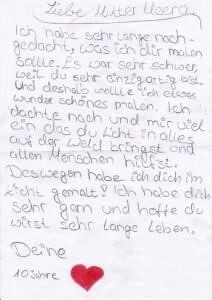 Letter to Mother by a child in German. Mother is a person of pure light and love. She is the Mother of all. She loves all creatures unconditionally and sees all beings as Her own children. Through Mother’s love we can experience our own inner beauty and the beauty of others. Through Her love we can also experience peace within our hearts, which helps us to bring peace to our families and friends. Mother Meera recommends that you will sit before and after your personal Darshan in silence – go deep within, meditate, remember a Divine name (doing Japa). Do not leave the hall immediately, but stay for the whole period of Darshan if possible. The Darshan may take about 1 1/2 to 2 hours. All children are welcome for Darshan.